“ร”is one of the 44 consonants of the Thai alphabet. Many expat Thai Language students get very confused when they find the “ร” in different positions/ locations. “ร” can work as an initial sound, a final sound and also a vowel sound. As a Thai Language Teacher, I find myself having to often explain this to my Thai Students. 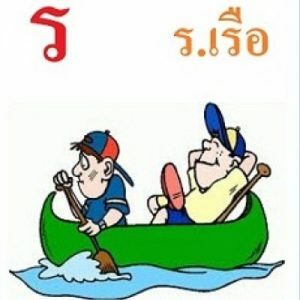 The details below will give you hints about how to use “ร” in different situations in reading and writing Thai words. www.thailanguagehut.com/thai-language-school-bangkok/ or follow us on Twitter.